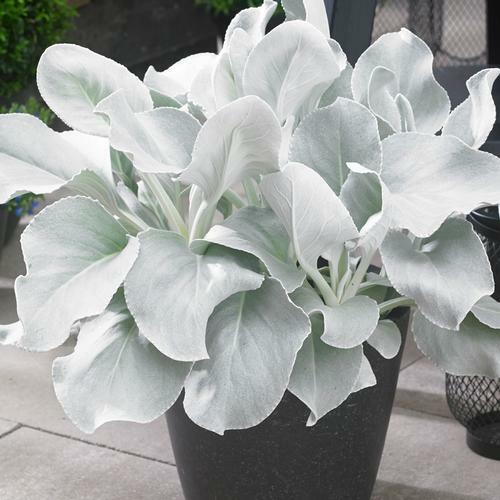 Long, broad, velvety silver leaves with scalloped edges create a wonderful stand-alone plant or a dramatic accent in a container. Easy to grow and very striking. We love this one!